So I wasn’t going to be participating in blogging as much in the month of November, but for some reason I decided I really wanted to today. I’m out of my NaNo cave for a few and here we are. This Week’s Topic is: What was the best book you read in October? You guys have already read my raving review of this book, but I really felt like sharing it again. I don’t know, I just had so much fun reading this book and I haven’t had a lot of fun reading books lately. I’m not sure if I was in a slump or what, but this book definitely got me out of it so I wanted to give it some attention. And now, I’m heading back to my NaNo cave to get some words on paper. Anyone else participating? How is it going? Haven't heard of this one before, sounds interesting though! 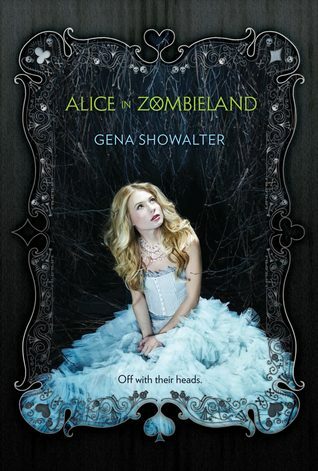 Alice in Zombieland…. clever! This sounds great! I've heard of it but I'm not a huge fan of zombies so I haven't gotten around to reading it yet. I kind of love Zombies, and this sounds fun, and your review makes me want to read it! I keep meaning to pick up a copy of this, because A) the cover is way cool, and B) zombies. Maybe for my best of November, then?